Towards the Privatization of Britain’s National Health Service (NHS)? NHS For Sale: Myths, Lies and Deception by Tamasin Cave, Jacky Davis, Paul Evans, John Lister, Martin McKee, Harry Smith, and David Wrigley (Merlin Press, 2015) argues that the Health and Social Care Act of 2012 is a government policy whose component parts are together a significant step toward the privatization of Great Britain’s National Health Service (NHS). John Lister and six co-authors demonstrate that the British reform debate about healthcare is polluted with myths about the performance of the NHS, how capitalist economies work, the proper economic and social role of government in them, and what conditions are required to maximize political freedom. These discourses are related and the mainstream views are used to justify and in the hands of some seek to even deny the existence of the expanding role of capitalist businesses, motivated fundamentally by profits, who want the production and distribution of healthcare to be determined by them. While economists advocating privatization argue that markets are more effective at compelling cost efficiency than the government can, critics have responded by pointing to the lack of evidence that markets are more efficient in healthcare. In particular, there are many properties of health services that make it unique compared to commodities that capitalists normally produce. The privatization of public healthcare and other goods and services associated with basic needs such as education and utilities has been part of a general trend of neoliberal public policy. The neoliberal restructuring of healthcare has been occurring in Canada and the U.S. in addition to Britain, taking different forms. The Patient Protection and Affordable Care Act passed in U.S. Congress in 2010 (or ‘Obamacare’) has survived two U.S. Supreme Court challenges and has to do most with affecting the financing of healthcare and increasing patient access to health services. Obamacare expands the pre-existing system, in which corporations involved in health and life insurance, medical equipment, pharmaceuticals, and so on will continue to play key roles in the delivery of healthcare. In Canada, the refusal to renew the Health Accord of 2004 last year within the Harper government is a major neoliberal precedent with respect to the public commitment to financing healthcare. Materially, this is playing a role in creating pressure within provincial budgets that invites austerity policies and privatization through expansion of controversial public-private partnerships (“P3s”). Because the forces seeking privatization are global, the struggle for public healthcare in Britain, Canada, the U.S., and other places has great political potential if these movements unify. Robin Chang is in the Department of Political Science at York University, where he studies Marxian political economy and is writing his dissertation on the political economy of healthcare in Canada and the USA. Robin Chang (RC): How did the book originate locally in terms of social justice activism in Britain with respect to contesting austerity in the neoliberal reform of the economic and social role of the state by defending government spending in health, education, and social welfare? John Lister (JL): The book flows out of the active campaigning that has taken place over many years, with a number of local and national groups that have sprung up in England to challenge the various aspects of privatization of the provision of publicly-funded healthcare, the increasing rationing and restriction of services available through the NHS in various areas. An additional focus of vigorous campaigning has been fighting local cutbacks and closures, especially since the election of the Conservative-led coalition government in 2010 which imposed a five year freeze on funding, now followed by a further five years of virtually flat-line funding while pressures on services continue to increase. The Chancellor of the Exchequer, George Osborne, has made it clear that the government’s ambition is to reduce spending on public services in general as a share of Gross Domestic Product (GDP), in pursuit of the neoliberal ideal of a ‘small state’ exercizing minimal control over free markets. The spending squeeze on the NHS is also intended to drive spending back down to the level it was at in the 1990s. The major piece of legislation driven through by the Conservative-led coalition, the Health and Social Care Act of 2012, also embodied a neoliberal approach: it severed the formal link of responsibility on the elected government to provide a universal, comprehensive healthcare system delivering services funded from general taxation, free to all at point of use. Instead the duty has been transferred to an arm’s-length national commissioning board, known now as NHS England, with a network of 211 local commissioning groups – each of them required to open up an increasingly broad range of services to competitive tender, making space for the private sector to bid for the services it sees as profitable. This has further opened up a competitive market in healthcare provision, potentially reducing the NHS to little more than a fund to purchase services. Simon Stevens, formerly a senior executive with the U.S. insurance giant UnitedHealth, has been appointed to chief executive of NHS England, the senior commissioning body, and published a 5-Year Forward View which called for an “extra £8-billion” of government spending over the five years from 2015 – alongside a commitment to generate a staggering £22-billion of “efficiency savings” to balance the books. These policies, driven by management consultancies such as McKinsey, PwC (or PricewaterhouseCoopers), Ernst and Young, and others, rest on wishful thinking and not much else: not only does most recent evidence and research refute the underlying assumptions behind these proposals, but almost no concrete plans have been developed or resources allocated to developing the promised alternative services out of hospital. So each proposed cutback is exactly that – a reduction in care available to a growing population. In researching and writing the book, our objective was to give campaigners an easily accessible and evidence-based overview of the developing situation, and an analytical steer to understand the significance of particular policies. From the beginning we planned for it to be published ahead of the first general election that has ever been timetabled in advance: we wanted to give campaigners the tools to make the NHS a key issue in the election debates. Sadly, there has been little comparable campaigning on many of the other attacks on education, for example, or social welfare, with the exception of a short-lived campaign around the imposition of what has been termed a “bedroom tax” – cynically described by the Tories as a “spare room subsidy” – for people on benefits occupying slightly larger houses or flats. The huge onslaught on social care, a desperately underfunded duty of local government to provide some support for frail elderly patients and people with severe mental health problems, has been met by no substantial resistance at all – partly because so many of the services have already been outsourced by councils to private companies, and partly because the families and carers who are having to cope with the problems have remained a largely scattered, atomised group rather than a coherent body of angry campaigners. As a result social care in almost every part of England has now been reduced to a last-gasp final resort for those with the most severe problems, with little or no support for people assessed as having “moderate” needs. David Cameron’s government has set itself the challenge of completing Thatcher’s privatization of public services and reduction to a bare minimum of public spending on health and social welfare. We hope to be helping to build a movement big enough to force some retreats, but also raise public awareness of the offensive that is being waged against services many take for granted. RC: The Introduction says that capitalists are primarily concerned with profits, which are the “bottom line” for any business. Opponents of public healthcare include many mainstream or “neoclassical” economists who have argued for years that competitive markets are superior mechanisms for allocating resources than government. Britain remains one of the most efficient systems in the world, and is unique for having been set up originally to be a public system in both delivery and financing. The evidence seems to show that private systems are in fact more expensive because of the level of administration needed to coordinate such a decentralized and as a result complex system. Is Britain any different in this respect, and if so, shouldn’t it be likely that the level of spending will rise in coming years? JL: Yes, as the U.S. graphically demonstrates, private provision of healthcare is more expensive, less efficient, and less effective in tackling ill-health than universal healthcare systems. As the U.S. shows us, private systems also bring with them more fraud, more temptations to over-treat, more obstacles for the poor and those with chronic health problems to access healthcare, and more bureaucratic waste of resources – on advertizing and marketing, on administration and financial services, and on lobbying to secure competitive advantage. But the U.S., spending around 18 per cent of its GDP on a healthcare system that still excludes around 20 million Americans and leaves tens of millions of low-paid Americans seriously under-insured, also shows that it’s not the amount of money spent on healthcare which troubles neoliberals: it’s the level of public spending, collective coverage which annoys them. Of course, they are not even very consistent in this, because when the Medicare system that cares for much of the cost of health services for older Americans, and the Medicaid system that subsidizes states in supporting families on low income, are taken into account, along with the hefty tax concessions for larger companies offering health insurance for their staff, it has been calculated that even in the U.S. public spending accounts for half the health budget. So 9 per cent of GDP is spent on healthcare by government (state and Federal) in the U.S. – about the average for European countries. The difference is that for the same amount in most European countries offer universal healthcare to their population. In Britain all of the moves toward creating a market in healthcare have been more expensive: the contracts negotiated by Tony Blair’s Labour government with overseas private companies to perform elective operations funded by the NHS offered generous start-up subsidies, plus an average of over 11 per cent higher payment per patient than the current NHS payment. But the costs are much higher than this – because to move from a universal, unified system that allocated resources at local level and provided care all within the public sector, to a complex and fragmented system in which varying packages of care are opened up at local level for competitive bids from public and private sector providers – carries a huge cost. Vast extra layers of bureaucracy have sprung up from the separation between purchasers (now described as “commissioners”) and providers, tendering processes have diverted countless NHS managers from their main task of delivering quality care to patients: new private providers have to be monitored – and in many cases have failed to deliver specified services, posing new bureaucratic problems in how to respond. Our book details a series of private sector failures, including the spectacular failure of the first attempt at getting a private company (Circle) to run Hinchingbrooke Hospital, a small NHS District General Hospital – which ended in total failure, with debts increased, performance and quality of care falling, and staff driven away by bullying management. One big problem for private sector providers that win bids on the basis of “loss leaders” to under-price potential NHS bids, is that they wind up carrying losses – unless they resort to diluting the skill mix of staff or otherwise reducing the quality of care. The latest reports suggest that all of the major companies that have won contracts are losing money – and one early market leader, Serco, has withdrawn from any further tendering for NHS contracts after heavy losses and reputational damage on failed contracts for primary care and community healthcare. Estimates for the House of Commons Health Committee suggest that the marketization of the NHS has more than doubled overhead costs of management and administration, and driven it up to around 14 per cent of turnover – still short of the absurd levels of U.S. bureaucracy, but still growing as the market is widened. All of this excess money is wasted – and an especially heavy burden now that NHS funding is in the midst of a decade-long freeze in real terms. Claimed cutbacks in the overt costs of NHS management are more than outweighed by the level of external work taken on by management consultants, who charge exorbitant rates for proposals of dubious value – safe in the knowledge that there is no independent scrutiny of the quality of their work. RC: Your previous research on the privatization of healthcare argues that private versus public systems are very different. Among other things, the more that the private sector is involved, the more that the quality of care tends to decrease. Healthcare seems to be labour intensive, and what capitalists would essentially like to see in healthcare is the expansion of management that attempts to squeeze more labour from medical doctors, nurses, technicians, and assistants. But in general, patients seem to prefer longer consultations with doctors, feeling that visits are often rushed. Does the care-giving aspect of it, and the high-skill prerequisite, mean that normal capitalist techniques to lower cost cannot apply? Are there intrinsic limits to using technology to produce more healthcare? JL: I see no difference between the findings we describe in this book and previous work I have done on the impact of the private sector on the availability and quality of healthcare. In Britain, the NHS, despite its occasional well-publicized failures, remains hugely popular, and this has always been an obstacle to privatization along the lines of the public sector utilities sold off by the Thatcher and Major governments. The NHS also handles a substantial caseload of emergencies, complex and costly treatment, chronic disease and other services which the private sector has shown itself reluctant to take on in any country. The failure of privatized management at Hinchingbrooke is a reminder that the expertise of the private health sector in providing services in Britain is almost entirely confined to the operation of small private hospitals, average size just 50 beds, dealing exclusively with elective patients, mainly well-to-do, requiring relatively minor treatment. Any complications are normally dealt with by calling an NHS emergency ambulance and dispatching the unfortunate patient to the nearest NHS hospital. The private sector does next to no research of general benefit, and trains no staff in England. It depends on recruiting NHS-trained nurses and professionals, and in general private hospitals have no full time medical staff, but simply bring in moonlighting NHS consultants to carry out specific treatments, and then go away again. In effect, the private sector is covertly subsidized by the public sector, since it could not function properly without the NHS. The operation of healthcare as a regular commodity in a completely free market remains impossible in any developed country, simply because of the most universal working of the “inverse care law”: most people who require the most substantial healthcare are least in a position to pay the market price of delivering it. Some subsidy from the public sector is vital to make any “private” system work. Most healthcare is required by the very young, the elderly, the poor and those with mental health problems – none of whom are well placed to pay fee for service or get insurance cover. So rather than risk the overt privatization of the entire NHS, the strategy has always been to allow the private sector to pick and choose which services it wants to provide – safe in the knowledge that the public sector will have to cope with all the rest, while the bills will always be paid from the large pool of taxpayers’ money, with no need to check if each patient can afford to pay. Within these privatized services the new private sector management does often seek to maximize profits by old fashioned techniques – employing fewer doctors, or less qualified doctors, or fewer nurses and support staff. Transferred staff may swiftly be offered terms and conditions inferior to the NHS – but these moves can easily backfire. With the NHS so much bigger than the private sector, and present in every area, there are always options for trained health staff to leave a penny pinching private contractor and rejoin the public sector. There’s an example of this in Nottinghamshire, where recently a contract for dermatology services awarded to Circle resulted in the departure of seven of the eight consultants who should have transferred to the company. Stories of Circle’s bullying regime at Hinchingbrooke may have been a factor in them deciding they would not work for the company: whatever the reason they went to work elsewhere, leaving Nottingham’s specialist dermatology services a tiny fraction of what they were, and forcing patients to travel to distant hospitals in other countries to access treatment. RC: The NHS was established through an intense political struggle in 1948. Because of it, healthcare was transformed from an industry tiered in terms of quality, composed of charities, nurses, midwives, and mostly self-employed doctors and surgeons akin to small crafts, to a uniform, high technology system of hospitals and clinics on a large scale, whose plant and equipment are constantly compared against the most cutting edge medical technology scientifically possible. If proletarianization of healthcare work is actually entailed in the design of these reforms, is the quality of care likely to decline considering that capitalist control of other workplaces and productivity considerations depend on deskilling work? JL: The question implies a misunderstanding of the reforms that established the NHS in 1948. Prior to the launch of this new trailblazing experiment in universal healthcare free to all at point of use and funded from general taxation the healthcare system in Britain had been much as you describe – fragmented, divided between municipally owned and run hospitals for infectious disease, mental health, learning difficulties and other services the private sector chose not to offer, on the one hand, private hospitals, charitable hospitals, teaching hospitals and a random allocation of local hospitals built through general subscription to serve particular communities. In addition, the wartime bombing and the needs of the military had brought a variety of military hospitals and a new Emergency Medical Service, providing free care to all. About half the British population was covered by compulsory health insurance, with many of the other half unable to afford medical treatment. Many of the hospitals were saddled with debts. If viewed as a commodity, healthcare was in desperately short supply, unaffordable in price and with many providers in serious financial problems. The fragmentation meant that there was no real links between the different hospitals in a locality. The buildings themselves were generally old, dating back to or before the turn of the century, and small – with an average size of 68 beds, and many were in a state of disrepair. The architect of the NHS, Labour’s Health Minister Aneurin (Nye) Bevan decided that rather than try to patch and mend this shambolic system he would nationalize the entire hospital network and bring the system under the control of the new NHS. The combination of public ownership of the means of “production” – through contracts with general practitioners (GPs), and nationalized hospitals, with the promise of treatment for all without fee, effectively decommodified healthcare. There were still shortages as a result of the economic problems facing the country in the post-war period, and lack of adequate productive capacity (factories making spectacles which had been geared to the pre-war market were suddenly unable to cope with the need to correct the sight of millions of people who had struggled through without because of the cost). The sheer scale of what had previously been unmet need put the system under pressure and it had remained under some strain for most of its 67 years. But the new system brought other advantages: it made it possible to have a national career structure and training system for doctors and for nurses, who had previously worked in separate institutions. The NHS could group local hospitals together, and encourage staff to collaborate together, to provide consultant cover over a number of hospitals instead of one at a time. The public funding also meant that resources could for the first time be allocated rationally to meet local health needs rather than hospital buildings depending on local community appeals and occasional cheques from local wealthy individuals. From the 1960s onward, a hospital building plan set out to replace local hospital groups with a new network of larger District General Hospitals to cover populations of 150,000 to 300,000, and bringing specialists together in the same buildings. The early work on this was begun under a Conservative government – with not a moment spent discussing whether or not the government should pay for the new buildings. This began the recommodification of healthcare: already many non-clinical (“hotel”) services had been separated off and privatized. Now competition between rival NHS providers over contracts to treat patients began once more to turn healthcare into a commercial transaction – and each patient into a cost centre. New teams of accountants and clerical staff began to estimate the price of each episode of healthcare, so that bills could be submitted for patients treated by hospitals away from their own area of residence. This later formed the basis for a national tariff, which is now used to calculate the payment each acute hospital gets for each treatment delivered. Debates began over how hospitals could reduce their costs so as to undercut the opposition to win a contract. Under Tony Blair’s government from 2000, this internal market was increasingly transformed into an open, competitive market, offering up contracts for diagnostic services, and for “independent sector treatment centres” – in which only private sector firms were allowed to bid, against each other, for contracts to treat uncomplicated cases – cataract, hip replacements, general surgery. The Blair government’s Department of Health even recruited U.S. and other private sector “experts” to staff a new Commercial Directorate with the task of kick-starting the sponsored expansion of a new private sector, offering clinical services (paid for by the NHS) for the first time since 1948. In addition, Blair’s government made use of a Conservative policy, making new hospital building projects an opportunity for the private sector to bid for contracts to finance, design, build and operate the new hospital – often providing the non-clinical support services as part of the “unitary charge” and an additional profit stream for the private consortium. As a result over 90 per cent of new hospital developments were funded through the “Private Finance Initiative” (PFI) from 1997 onwards, resulting in over 100 new hospitals being built at a capital cost of £11-billion, but a repayment cost under PFI of upwards of six times as much – far more expensive than the old system of government borrowing the money at lower rates to fund new hospitals. Patient care was now increasingly a commodity with a cash value, quite possibly delivered by a private contractor under the guise of an NHS logo in a privately-owned building leased to the NHS on highly profitable terms. The NHS had shiny new hospitals – at a price. But whether the changes within the NHS have successfully proletarianized the medical workforce is an unresolved question. The hospital consultants remain very powerful with the hospital trusts, and they are still in short supply – and take a very long time to train, giving them far greater bargaining power than other health professionals. Since the election in May, Conservative ministers have attempted to force those hospital consultants who don’t already cover seven days a week to agree to a new contractual commitment to 7/7 working – despite the questionable logic of attempting to run the NHS on a full 24-hour a day level. Experiments in providing family doctor services across weekends have resulted in large numbers of unused appointments and wasted time for doctors – leading the British Medical Association to call for an end to the project. Supporters of the idea boast that the increased GP services in one area of Manchester cut use of adult and elderly by 3 per cent – but the cost of the primary care was more than three times the cost of the services that had been reduced. Efforts to proletarianize GPs have been even less successful than with hospital staff. But even nurses and other health professionals have begun to recognise that as qualified staff their services are in demand – and essential for some healthcare. So where bullying or other pressures have got too great to bear, thousands of them have left their staff jobs in the NHS and signed up instead for agencies which allow them to pick and choose which shifts and how many days they want to work. It seems that these staff too have to some extent escaped the proletarianization, and used the new “market” to their advantage, and the financial detriment of NHS hospitals, whose pay bills have been inflated by high-cost agency staff. The most systematic attempt to raise the level of exploitation of hospital medics and nursing staff proved to be a spectacular and high-profile failure ten years ago, with ongoing implications. The hospital trust under pressure was Mid Staffordshire Hospitals, whose management had to show it could balance its books, and eliminate a £10-million deficit in order to attain “Foundation Trust” status from the regulator, Monitor. The route chosen to “save” the £10-million consisted in running down levels of nursing and medical staff to below the danger levels, triggering a major deterioration in the quality of care for patients on wards and in the busy adult and elderly department. Eventually the complaints of patients’ relatives, taken up by the local press, forced the issue of the scandalous poor care into the public domain, resulting eventually in the removal of the managers responsible and the establishment of a major public inquiry headed by Robert Francis. This hit national headlines as it exposed the ghastly quality of care in Mid Staffordshire, condemned the bullying regime, and called for basic minimum staffing levels to be stipulated for every part of the NHS. Healthcare is not like any other economic activity in that it has so many interactions with a wider public, so many emotional echoes that can result in press coverage and national notoriety. No equivalent can be found in any other equivalent-sized factory or workplace: it is a special industry which seems to defy any standard definition or rules. RC: The book argues that the main advocates for NHS restructuring are not large parts of the British population but a distinct set of politicians, lobbyists, and corporations attempting to speak about these reforms in terms of benefitting everyone. Is it possible to generalize in class terms the relationship between the profitability of the capitalist system and those interests associated with the capitalist class who want the NHS to be privatized? More specifically, are there important relationships between the low employment and investment levels and the pressure on state budgets created by the financial and economic crisis of 2008, and the motivation for and timing of the Health and the Social Care Act’s passing in 2012? JL: The broader population of England (where the marketization experiments have been pushed most vigorously, after the 1999 devolution to Scotland and Wales gave them their own control over health services, allowing them to unpick what market mechanisms had been put in place and reintegrate health as a public service) has never been asked its view on the market reforms, except a few opinion polls, in which even a substantial majority of Conservative voters oppose privatization of the NHS. Politicians and NHS bureaucrats know full well that neoliberal policies on health do not enjoy popular support. That’s why wherever possible plans are pushed through with little or no public consultation – another reason for pursuing the piecemeal approach to privatization rather than concerted push across England. The fact that only the NHS offers emergency services, so that even the wealthiest and most heavily insured individual would necessarily depend on local NHS care to deal with a major accident or cardiac arrest involving them or their families, in theory should mean that everyone recognises their common interest in well staffed, well-resourced local hospitals. But the illusions created by slick private sector advertizing, along with the tantalizing hopes of some profits eventually to be generated from the privatization of service provision seem to have distorted the opinions of key sections of the ruling rich. So it’s true to say that the privatization process is supported only by a small portion of the ruling class. 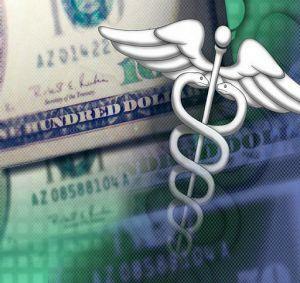 However the big money from privatization is unlikely to come from any of these relatively small-scale contracts to provide healthcare services from a frozen and inadequate budget. The real hope for profits would be for insurers to cash in on the fears of large sections of the middle class and ruling rich that the free access public healthcare system will in future not offer the treatment they need, or will levy charges so substantial as to persuade them into taking out insurance. In other words the big pickings in terms of profits could only materialize the other side of the complete discrediting of the NHS as a system funded collectively through general taxation. And because in the immediate short term it would be electoral suicide for any government to declare the end of the NHS as we know it, and turn the clock back to the 1930s and a new fee for service model, possibly based on demeaning means-tests, the process toward a U.S.-style insurance-based system is likely to be a long drawn-out one. In the meantime a relentless cacophony of neoliberals and “realist” pundits, academics and politicians egged on by a largely right-wing media keep up the refrain that the NHS we know and love is “not sustainable,” insisting that there are “compelling arguments” for new ways of levying charges – through for example scraping the wide range of exemptions to prescription charges which mean that a mere 10 per cent or so of prescriptions are paid for – while imposing a reduced charge on everyone needing medicines. Calls for charges to see a GP, charges for adult and elderly, charges for outpatient appointments, or for spending a night in a hospital bed are all among the various zombie ideas that have resurfaced yet again: each of them has been shown in the past to be an obstacle to improving public health. Charges to see a GP for example would deter many of the poorest and elderly patients who most need primary care (as happens often now in the U.S.) – or be limited with so many exemptions that they would only raise significant sums if the charges were relatively high – or drive increasing numbers of patients to postpone treatment until illness gets worse – or divert millions of patients with minor symptoms to use adult and elderly instead, and so on and so forth. The combined objective of this many-pronged attack is to fragment the NHS, scale down its services to create local crises, while hinting that a better system could be brought in on the back of charges for treatment. As the propaganda war and attempted brainwashing steps up a notch, the cuts are beginning to bite, undermining the quality of services, bringing back longer delays and queues which were reduced to low levels by investment from 2000-2010. The combined objective of this many-pronged attack is to fragment the NHS, scale down its services to create local crises, while hinting that a better system could be brought in on the back of charges for treatment. The really stupid aspect of this neoliberal project is that nobody in their right mind would really want to go from a relatively cheap, popular and efficient system like the NHS to a costly, wasteful, shambolic U.S.-type healthcare system. Even the Americans have been looking for ways to escape, having failed to follow Canada’s break for universal health coverage in the 1970s. They know the U.S. system exhibits all the flaws and failings of our NHS but costs more than twice as much and leaves millions unprotected. But for those who live and breathe the neoliberal dream, the U.S. system is a Shangri-La of happy shareholders, well-paid consultants, obedient premium payers – and telephone number salaries for chief executives of insurance companies. Only the smallest, wealthiest and most pampered minority elite could cherish aspirations as impractical and politically naïve as this. Meanwhile on the ground in real life David Cameron’s Tories, with a narrow Tory majority of just 12 in the House of Commons, is making its halting, piecemeal, sometimes ambiguous and contradictory way along this route, while reiterating again and again to their supporters, opponents and themselves empty assurances of their commitment to the NHS. Our book does not argue that there is one overarching plot or conspiracy to privatize the NHS: we trace the practical steps that have been taken, inspired by the predominant neoliberal ideology, to smash up a healthcare system that was scoring record levels of public approval in 2010, open it up as a competitive market to private providers, and open it up further to U.S. multinationals through the proposed Transatlantic Trade and Investment Partnership which Cameron is personally pushing within the E.U., while scaling back the funding as demographic pressures force costs upwards. John Lister, PhD, is a Senior Lecturer in Department of Media and Communication at the Coventry University, where he teaches health journalism. He is also the founder and director of the London Health Emergency, a pro-NHS public interest group.